Karen Nemeth earned her BA in psychology from William Paterson University and her MEd in learning, cognition, and development from Rutgers University. She has been a teacher and a teacher educator for more than 25 years, focusing her expertise on first and second language development in young children. 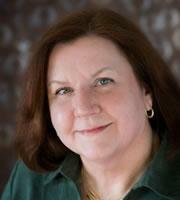 She is a nationally known speaker and consultant and the author of three Gryphon House books. She is also a NAEYC author and consulting editor. “Simon and Nemeth transform the debate between technology as good or bad, rather showing us how to use technology actively and interactively within good active and interactive early childhood programs." "Digital Decisions opens up new ways of thinking about technology and young children by offering sound and concrete advice rooted in the everyday realities of early childhood classrooms. It is refreshing to see examples of technology use with young children that feature open-ended play and exploration." "Teachers will be able to use this book as a go-to source many times over while developing their own common-sense approach to technological-best-practices in the early childhood classroom." "Simon and Nemeth have come out with a timely resource on technology that is a must-have for today’s early childhood teachers and administrators....The authors provide an array of interactive activities that show teachers how to maximize technology as a true learning tool." "I've been using Many Languages, One Classroom in my Language and Literacy Development class this semester and have found it to be an excellent resource for the students." "This timely guide is designed to aid preschool teachers and administrators in supporting children's home language while helping them learn English...This invaluable resource makes a critical contribution to our understanding of this topic and the ability to teach dual-language learners." "An important tool for opening the door to literacy and learning for English learners." Karen Nemeth interviewed on Studentcentricity radio: "When You Don't Speak the Same Language: Making ELLs Feel Welcome."